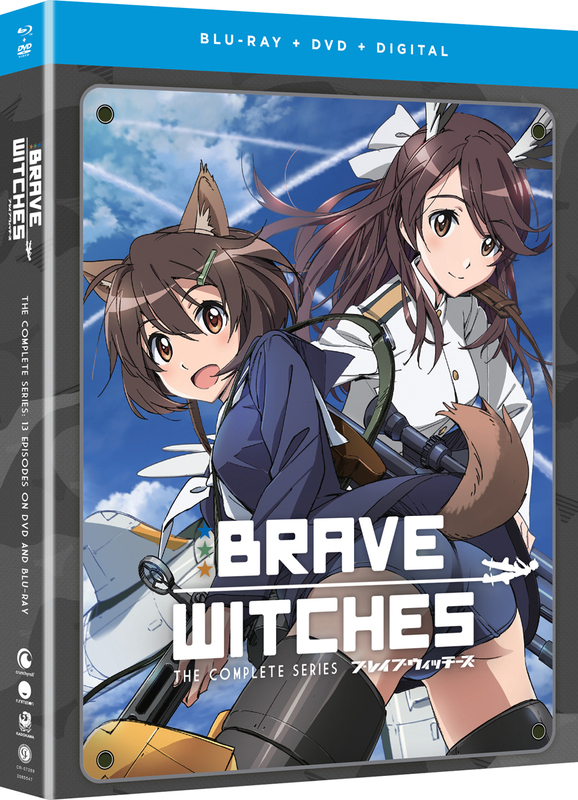 Brave Witches The Complete Series Blu-ray/DVD contains episodes 1-13 and is a sequel series to Strike Witches. Watched the series online and will be buying the hard copy. If you liked the original series Strike Witches then you will like this series. It is as good as if not better than the original. Hmm, it's Strike Witches lite, I guess you'd say?! Kind of a similar storyline with various differences to set it apart as it's own thing. I didn't care as much about the characters, weaker story, had a slower pace to it, and where was the "Strike Witches" type Fanservice that we all know and love ? That would've been a godsend for this Anime if they had put it in. The one thing they needed was the type of fanservice we know and love from Strike Witches, but even that was overlooked in this spin off, and that just added to the lackluster of the Anime. Now if this had been the first Anime ( instead of Strike Witches ) I wouldn't be so hard on it, but it's wasn't, so it 's being compared and rightfully so.